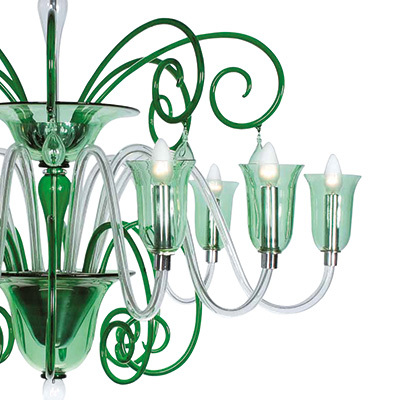 Murano glass is mainly composed of very pure silica sand which takes any desired colour with the addition of common or rare metal oxides. This compound, with small amounts of other chemical materials, is fused at a very high temperature (1200° celtius) then turning into coloured glass, the one Fornace Mian glass masters use. 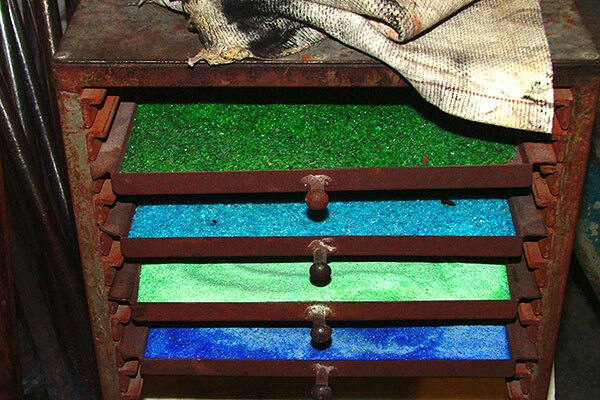 Each color is characterized by a different oxide that, proportionally to the amount used, determines its intensity. 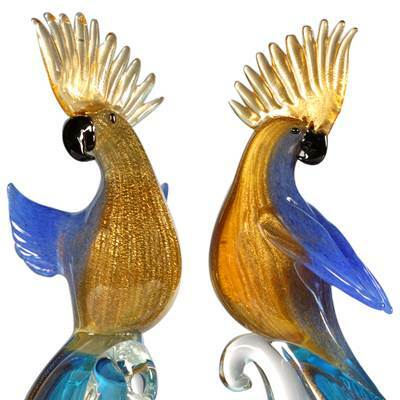 Murano has produced colors since ancient times and this small island was responsible for imparting the secrets of colored glass made in its workshops to the rest of the world. Artistic glass, both mouth-blown and hand-made, requires different work teams composed by a master and other three or four people, all very skilled in the different phases of glass-working. 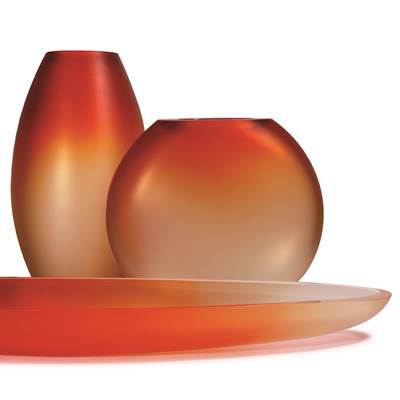 work, a fair amount of pride and the powers of observation to beneﬁt from the skills of other glass masters. 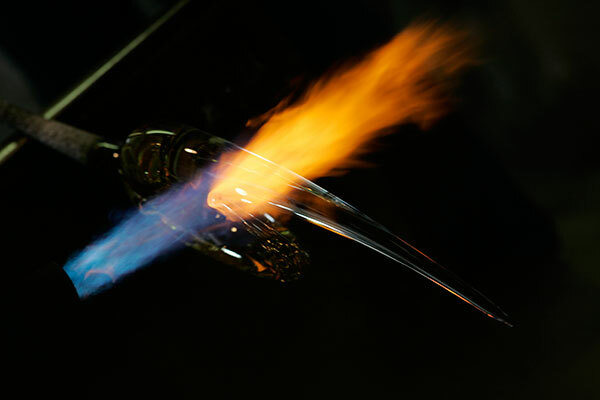 No schools can teach you how to become a glass master: only those who work in the furnace can become masters of the art of glassmaking. When the piece made by the master is still very hot, it is put on the “tempera” (a cooling oven on a long conveyer belt). During a cycle lasting many hours, the piece slowly turns cold and comes out ready for further manufacturing. The Objects blown into the furnace and hardened are brought in the Moleria, the griding departement, where they are cold-finished, by experts which proceed the smoothing or to other types of finishing by diamond wheel. 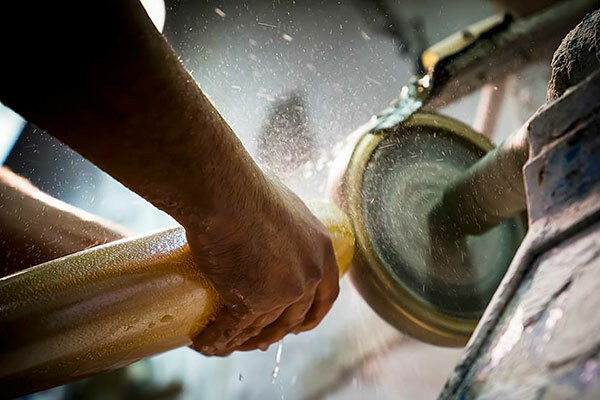 With different technologies, based on diamond grinding wheels, the works in glass become so finished products ready to be signed and packaged in their own gift-wrapped or shipping box. 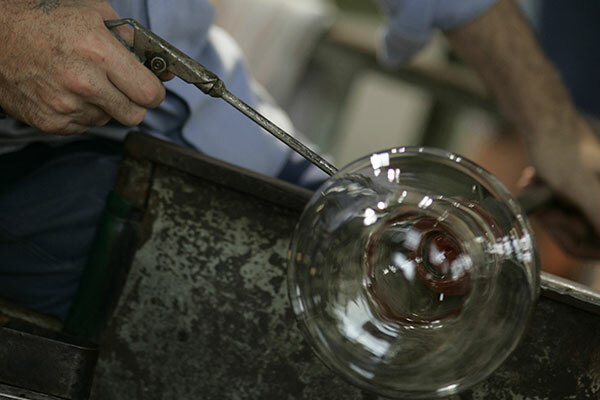 The master moulds the first lump of glass into a cylindrical or spherical form. In the meantime, one of his/her assistants prepares the gold leaf needed, in a small closet designed to protect it from air flows. Once it has been prepared, the gold leaf is wrapped around the white hot glass prepared by the master and then submerged in another layer of glass that, in addition to covering it, protects it forever, giving it the characteristic look of gold-leaf finished art glass. Any art glass object with a glossy finish can be cleaned and polished with any product for glass surfaces, using a soft clean cloth. Traditional products such as alcohol and vinegar and water or more modern products like “windex” are fine. Abrasive and/or corrosive products should never be used. The silky feel and shiny look of all satin-finish glass objects is achieved by treating the products with a silicone-based spray. The spray’s lasting effect is not altered even after frequent washing, but can be damaged by exposure to extreme heat, which causes the silicone to evaporate. Whenever necessary, the object’s shine can be restored by using a sponge soaked in a silicone-based product used for shining shoes (similar to the one we use). All parts with a glossy finish must be cared for and washed as described for the objects, making sure that the part encased in plaster does not get wet (water may dissolve the plaster).